Brace yourselves readers, because today’s episode is a serious TBR-filler. Today’s guest Elham Ali flips the script to recommend some Canadian literature to ME based on my own beloved titles… but turnabout is fair play, and I’m not letting her leave without some of MY favorite CanLit recommendations. 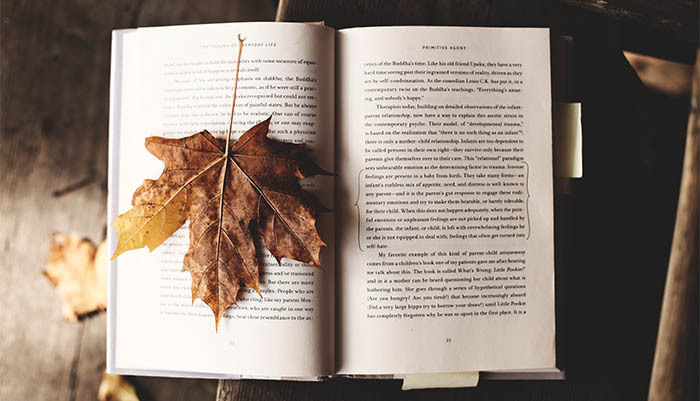 We’re taking a bookish road trip around the Great White North, dishing juicy book-marketing gossip, reveling in Elham’s favorite literary sin, and much much more. In fact we talked SO MUCH that some of my favorite stories of Elham’s had to be cut for time - so today, stick around until AFTER the credits to hear one last clip about Elham meeting an unexpected reading hero on the bus. It’s so good, you do NOT want to miss it. But no more waiting - let’s get to it! • Lies of Locke Lamora is mentioned in WSIRN Ep 87 by guest Aaron White. • Guest Chatti Phal-Brown appeared in WSIRN Ep 146. Instead of plugging up your sweat glands, Kopari’s deodorant takes care of any smell without messing with your body’s natural patterns. 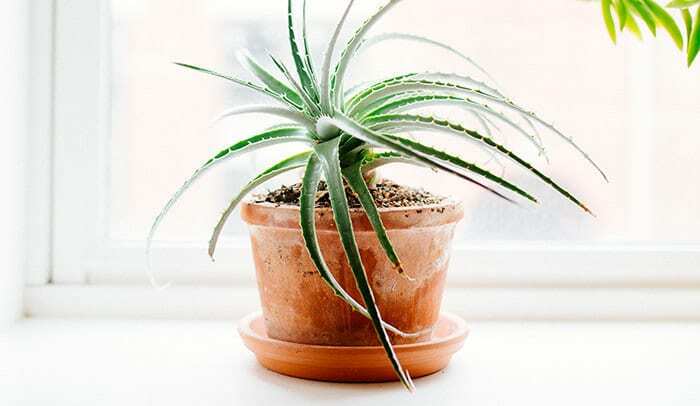 It uses plant-based actives such as sage oil and coconut oil to fight odor. It’s also free of silicones, sulfates, parabens, GMOs, and baking soda, so it’s great for sensitive skin! Say aloha to Kopari! Go to KopariBeauty.com/READNEXT to make the safe switch today, and see how you can save five-dollars off your first order! Carbon38 is a performance fashion ecommerce site that curates brands that blur the lines between workout-wear and street style. Their best-selling Takara (Tuh-Car-Uh) legging is comfortable, breathable, lightweight, and totally opaque. These lightweight leggings have a “liquid” finish making it look like leather. And the super slimming waistband means you never have to pull them up. Go to Carbon38.com and use code: READNEXT for 20% off your order. Homesick candles provide warm, glowing reminders of the special times, people, and places of your life. 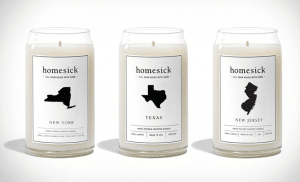 There’s a special Homesick candle for all 50 States and dozens of the most famous countries and cities of the world. Each Homesick candle is individually hand-poured, made from all-natural clean-burning soy wax, with premium cotton wicks, and completely non-toxic. Right now, WSIRN listeners can get free shipping plus $10 off when you buy two or more candles. Just visit Homesick.com and use the code READNEXT. What do YOU think Elham should read next? Do you have a favorite CanLit title to recommend? Let us know in the comments! I thoroughly enjoyed listening to the podcast this morning on my commute (501 Queen streetcar – yes, I’m in Toronto just like Elham!). It was a delightful surprise to hear a Canadian on your podcast. We Canadians get a bit too excited anytime that anything related to Canada is mentioned on an American show, and this was no exception. It’s also been a goal of mine to have more CanLit in my life, and I appreciated Elham’s suggestions. Admittedly, I hadn’t heard of a few of them, and have already added more titles to my Goodreads list. A classic Canadian novel that I think you would both enjoy is “Who Has Seen the Wind” by W.O. Mitchell, who is a Canadian treasure. It’s possible that Elham has already read it in school (I did! ), but I think Anne will appreciate this beautiful novel set in the prairies. I hope this podcast episode opens up the world of CanLit to more readers. It’s so much more than “Anne of Green Gables” (and that’s my all-time favourite novel :)) I enjoy the show every week, and it’s certainly expanded my reading list to many, many new titles. Where to start with Louise Penny?! I’m desperately looking for a new go-to mystery author and think Penny might fit the bill. Favorite title? Book 1 in series? Help! Thanks! There is a story arch that is slowly revealed over the first 12 books, so I would recommend going in order. However, the individual mysteries start getting stronger around book four. Book One of Louise Penny’s Inspector Gamache series is Still Life. Start there to follow the story arc and to avoid spoilers. It is such a fun series, and I think it totally deserves all the praise it gets. Definitely definitely start at the beginning and go in order. You need it for the overall story line, but also to get the emotional depth between the characters in later books. I always heard that 2 and 3 were OK, but I actually really liked them 😉 The Brutal Telling, The Beautiful Mystery, and How the Light Gets In are my absolute favorites so far! The book list is missing Before the Fall by Noah Hawley. Also, I really enjoyed the other books by Sara Gruen as well. I hope she’s writing more! Fifteen Dogs is my “book I hate” choice. I was really excited to read it and to search out the poems in the story but I was not prepared for this. I will read any book involving an animal (especially a dog) and know that means I’ll often have a broken heart but usually there’s a point and context to the sadness. I found this book to be nothing but cruel. For me there was no point or redemption to what they all went through. I’ve never ever cried so much reading a book. It scarred me for life. For me there was not enough redemption to justify the horrors they suffered but I give props to the author for the fact that this book is still so incredibly vivid for me two years on. As for better dog books I’m so glad you asked! 🙂 My favourite is The Art of Racing in the Rain by Garth Stein which is written from Enzo the dog’s point of view. (My copy is completely tattered from being lent out so many times). I also loved The Dogs of Babel by Carolyn Parkhurst, The Dog Stars by Peter Heller and Lily and the Octopus by Steven Rowley. I just recently read The Midnight Cool by Lydia Peelle which is not a dog book but features mules and their role in WW1 which I had no idea about. There’s a wonderful section which explores the services so many different animals have provided for us which really spoke to me. Somehow I missed the Redwall books completely as a kid but I’m betting I would have adored them. Are they worth a read as an adult? 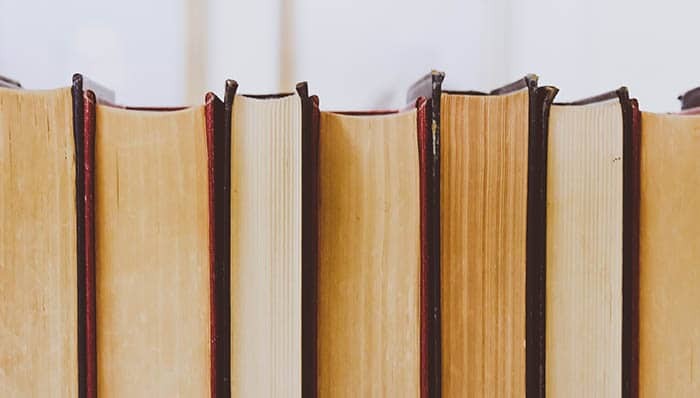 Jen- definitely try the Redwall series as an adult, I missed them too growing up and discovered them reading to my oldest…they are a great light read! Oh, I am so glad to hear you talk of Miriam Toews. I bought “All my Puny Sorrows” after judging the book by its cover… and title! I LOVED it. The characters stayed with me long after I finished the novel (and I still think of them from time to time). I also really enjoyed “A Complicated Kindness,” being able to relate to a fundamentalist upbringing. I can hardly wait for “Women Talking” to come out. Any other recommendations for which Toews novel I should try next? Thank you for a FABULOUS episode, Elham – you’re a delight, and my TBR list has grown so much! Great episode! The Canadian MMD! Wonderful discussion! I don’t have a recommendation but I want to ask Elham what is the reason behind the trend of using no quotation marks for dialogue such as occurred in The Boat People. It makes the reading more difficult than necessary and many readers complain about it. Just wondering why this is a new trend and if you think it will continue. Thanks! Hi Carol! That’s such a good question, and I feel like I’ve asked it before too! I think the reasons vary but in many cases it’s an structural choice. Like I know that in Women Talking by Miriam Teows (which is amazing and you should definitely read) there are no quotation marks, but that book is structured like a diary almost, so I think based on format and structure the author might choose to leave them out to add realism to the story. In other cases its a stylistic choice, or sometimes editors might make the call. I actually found this article in the Guardian about the history of dialogue marks in books if you’re interested (I know it’s a lot more than you asked for!) I hope this helps! Elham….thanks so much for your efforts in answering my question! I think you could start your own podcast for Canadians! Oh thanks Elham! That is interesting and informative to hear her explanation in her own words! I appreciate and understand why she chose to eliminate punctuation of dialogue. I was really happy to hear a fellow Canadian on the podcast! And to expand my Can Lit TBR list. I just need to know if I’m the only one who didn’t like The Lola Quartet? I found it no where near as good as Station Eleven. I didn’t like the Lola Quartet either, but I’m not giving up on Emily St. John. The Singer’s Gun is on my TBR list. Loved hearing a fellow Canadian booknerd on the Podcast! I immediately went to my Goodreads list to see if I had ‘Read’ any CanLit that I could recommend in the comments. Most of the CanLit I’ve read are bestsellers that I’m sure everyone else has read. But, I am embarrassed to say that I found a Goodreads List of British Columbia books (I live in BC) and I haven’t read a single one! That would be a good goal for 2019 perhaps? Thanks again to Anne and Elham! I disliked it so much I didn’t finish it. I was excited to read it because it was on so many reading lists. A big disappointment. I loved this episode. I am from Manitoba and really enjoyed hearing recommendations rooted in places that surround my home. I especially love the enthusiasm Elham has toward indigenous literature and in that vein I recommend Juliana and the Medicine Fish by Jake Macdonald. I stumbled upon this book at the library and recommend it constantly since. It’s the story of a girl from Winnipeg spending the summer with her father at the fishing lodge near Kenora he works at following the separation of her parents. Ojicree culture and traditions are prominent. Ps if Elham hosted a Canadian cohort of what should I read next, I would be soooo into it! Another fabulous episode and I loved hearing the recommendations go both ways. I was also excited to hear Elham mention Minkey Beach. I confess that book has been neglected on my shelf for years but now it’s going to be my next read. Thanks, Elham! Elham mentions on the podcast that she had to chose two out of a longer list of indigenous literature. Is there any chance for me to get at that longer list? Anne, what an awesome show with Elham Ali; how can we follow her on social media for other great recommendations she has? As a Canadian I am a huge fan of CanLit. I’ve mentioned this book before as recommendations to your guests and do so again to help spread the word. I keep waiting for this book to be made into a movie on tv – it’s the first novel of poet Gil Adamson – I believe she is from Montreal … and it’s called The Outlander. If you liked the book and movie Sleeping with the Enemy … I think you will really enjoy this historical version of it – it is set in the Candadian Rockies in the area where the horrific Frank Slide happened. Anyway … to anyone reading this … find the book and give it a read … I doubt you’ll be disappointed. My favorite episode yet. Elham is so charming and passionate. I loved hearing about books I’ve never even heard of. She must be so good at her job because her descriptions made me want to buy 2 or 3 or 12 of them! Thanks ladies!! I chuckled when Elham mentioned The Night Circus. The first time I read it, I didn’t enjoy it because of the romance. My review on goodreads was 2 stars I believe. That was when the book first came out. But many books between then and now and I would gush how great the book was and couldn’t remember why I didn’t like it. After listening to it on audio for book club I liked it even more. I realized that I put the love story first and foremost but its really a side effect (or is symptom a better word) of the circus itself. But years later it moved from my “What’s all the hype” list to “I do like this book” list. My “hate” book finally made it on the podcast! Yay! hahaha! I wasn’t a fan of “Night Circus” either. It’s so validating… In fact when I applied to be on the podcast a few years ago, this was listed as my disliked book. I’ve been a listen for about 6 months and have not been compelled to comment until today. Her hate it Book is in my top 5 books of all time and I feel that I need to give your audience a counter perspective . The Night Circus is one of the most beautifully written books that I’ve had the pleasure to read, multiple times. If you enjoy being fully swept away by prose that will expand your mind, this is your book. Seeing events from multiple POV adds depth to story. I will admit the first read, I did have to check back on the order of events. But the intertwined story lines, the suspension of belief, the imagery….. all add up to one amazing read. Fellow Canadian Egyptology lover here! Elham, have you read any of Pauline Gedges books? She is a Canadian author who writes Ancient Egyptian historical fiction. My favorite of hers is House of Dreams. It is one of her older ones. Many of her newer ones are good too. Hi Emmy, I have’t read any of Pauline Gedges’s books, but I definitely will now! Thanks so much! Loved this episode! The Lesser Blessed is free on Kindle at the moment! Great show- and amazing book choices! I would love to know if Elham has any Egyptology books she would recommended? I have a friend who is obsessed (in a good way) about everything this subject! Loved this episode! What great rapport between Elham and Anne. I live in the US and have a keen interest in exploring Canadian Literature. Feel like I struck gold with this episode. Thanks for all of the great suggestions. I found the Lesser Blessed for free just now on Kindle. Two of my favorite CanLit reads have been Elizabeth Hay’s Late Nights on Air and Richard Wagamese’s Medicine Walk. Thanks so much for such an informative and entertaining episode! Elham, I’m dying to know some of the romance books you liked, especially as you seem to be in favor of relationship building versus the love at first sight trope. By the way, I also didn’t like The Night Circus—a lot of build up and then it fizzled. But one romance I adore is “The Secret Book of Grazia Dei Rossi” by Jacqueline Park, so much that I almost recommended it to Anne! I will warn you that it’s 700 pages but I flew through it, definitely give it a shot! LOVED hearing a Can Lit episode. As someone commented above I also love episodes with lots of laughs. Thanks for the fun read! One of my favourite Can Lit books is Dropped Threads, a collection of stories by Canadian women. More of a comment than a book recommendation. I agree with Anne’s rationale on Love, Loss, and What We Ate, by Padma Lakshmi “needing a longer lens” and frankly more time resonate and examine what transpired. I feel this way about Sheryl Sanberg’s Option B: Facing Adversity, Building Resilience, and Finding Joy. While the book contains fabulous information, she published the book less than two years after losing her husband. Meaning she most likely started working on the book a year after the loss of her husband. Having faced a similar loss I wasn’t up on my feet at the point to comment thoughtfully and cohesively on the topic of loss and grief. I feel like she needed more time, space, and reflection before she formally commented in a book– Longer lens. If anybody is interested in learning more about the story of indigenous people in Canada, their history and the residential schools that were mentioned in this episode, I highly recommend the podcast “Finding Cleo” by CBC Radio. Hello, this was another great episode. Thanks so much for sharing and my TBR pile is getting larger again by the minute. I wanted to mention that if you like “The Book Thief” by Marcus Zusak, I actually did not read that one first, I read with my Mother-Daughter book club his other book “I am the Messenger” which was well liked by almost all but we had great discussion, so you may need to discuss it! Have a great day and a good book! Fellow Canadian in N. Ontario and really enjoyed this CanLit episode. My can-lit shelf consists mostly of Miriam Toews, Margaret Atwood and Elizabeth Hay – although I probably haven’t properly coded some authors — but either way, very overdue for some canlit inspiration! Elham, have you read “The Way the Crow Flies” by Anne-Marie MacDdonald? Has anyone read WASHINGTON BLACK By Esi Edugyan, Canadian author? I was so happy to hear some shoutouts for CanLit on this podcast. I’ve been wishing for more Canadian titles in Anne’s recommendations because we have so, so many great authors here! I was happy to hear Elham talk about the humour in the Richard Van Camp Book, too; indigenous literature from this land we now call Canada can be difficult in subject matter, but it can be hilarious. After hearing Anne talk about the type of reading experience she prefers, my CanLit recommendation is the 2018 title The Ghost Keeper by Natalie Morrill. It’s a thoughtful exploration about friendship, family, the blurry lines between good and evil. It’s a book to be savoured on a Saturday with nothing else to do but read. I’m a bit behind on my podcasts so just listened to this episode. I think it may have been my favorite to day. Elham was a joy to listen to and it was so fun to have such great recommendations both ways. I live just south of Manitoba and I can’t wait to read Settlers of the Marsh. Thanks for an engaging and entertaining episode! This has been my very favorite episode. I actually listened to it twice because it was so, so good. I could listen to Elham and Anne talk for hours. I’m Canadian but I’ve lived in the States most of my life and I had never heard of CanLit. I want to read every book Elham recommended. CanLit will definitely become a big part of my reading life. Bookish greetings Anne and Elham! Just wanted to let you know I just finished Settlers of the Marsh by Frederick Philip Grove on your recommendation, Elham. I am so in love with this book! Thank you so much for the recommendation! I love everything about it. The setting, the amazing characters, the lyrical language, and the surprising plot twists. So amazing! Thank you Anne for your show. My reading life is so much fuller, richer, and diverse as a result of listening to your podcast. I love all of the episodes, and found Elham to be such a delightful, sparkling guest. I can’t believe I never left a comment on this episode!! I’ve listened to it at least 3 times because I find it so rich with suggestions and literature that I didn’t know existed! I’ve added “Monkey Beach” and “Crossing to Safety” to my TBR list since listening to this episode. Thanks for the suggestions!